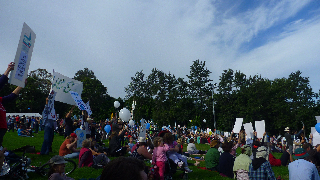 ‘Say YES’ organisers believe that up to 5000 people attended the rally at the Brisbane Riverstage. Waving placards, people called for action on climate change and supported a price on carbon. Among the audience was federal treasurer Wayne Swan and Queensland environment minister Kate Jones. Reverend Tim Costello from World Vision said “climate change was costing lives and livelihoods worldwide”. 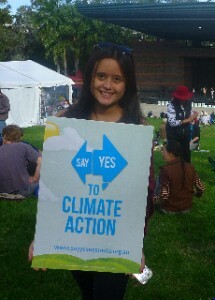 Amelia Birve who attended the protest said she was there because she “supports Prime Minister Gillard and wants to see the country moving forward in terms of climate action”. 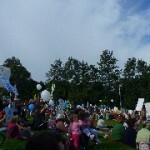 Nationwide thousands more have rallied as a result over the heated debate on taking action on climate change.